Nexus 4, a device that has been forgotten by Google, has now got the latest version of Android, i.e. Marshmallow, via CyanogenMod 13. If you own a Nexus device and want to taste the flavour of Marshmallow on it, then it is very much possible by flashing your phone with CM 13.0. Though CyanogenMod 13 is available as nightly build but it is still usable and can be used as a secondary device, as reported by the users. You can download the CM 13.0 ROM from the link provided below. Cyanogen is known for its easy customization features along with support for regular updates. CM is the only ROM that supports a wide variety of devices, including those that has been deprived of getting support from official manufacturers. 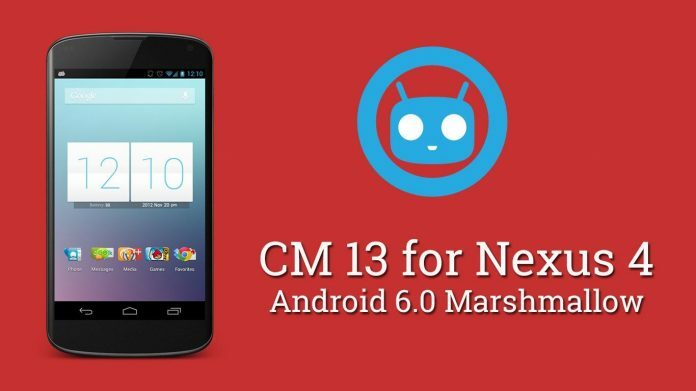 Taking about CM 13.0, it based on latest Android 6.0 Marshmallow with all the features that come readily with Android 6.0 coupled with few tweaks and options that help the users to modify the device according to their needs. It also features a theme manager that can customise any part of the UI with just one click. You can download free and paid CM themes from Google Play Store. Cm 13.0 also has the Doze feature that increases the battery standby time up to 200% along with the cool material design that is included in Android 6.0. Please note that CM 13 for Nexus 4 is still in starting phase and might have many errors and bugs, so it is recommended that only experienced users should try to install it in their Nexus 4. Before flashing this ROM please make sure that you have taken a complete backup of your data and have charged the phone at least up to 50% or more so that the flashing process should go smoothly. Nexus 4 was launched in 2012 and is one of the most popular phones of that time because of its epic looks and specifications. But 18 months later, it got deprived of getting updates from Google, and after that, it lost its charm. But now if you own a Nexus 4, you can still enjoy the latest version of Android with the help of CyanogenMod 13. 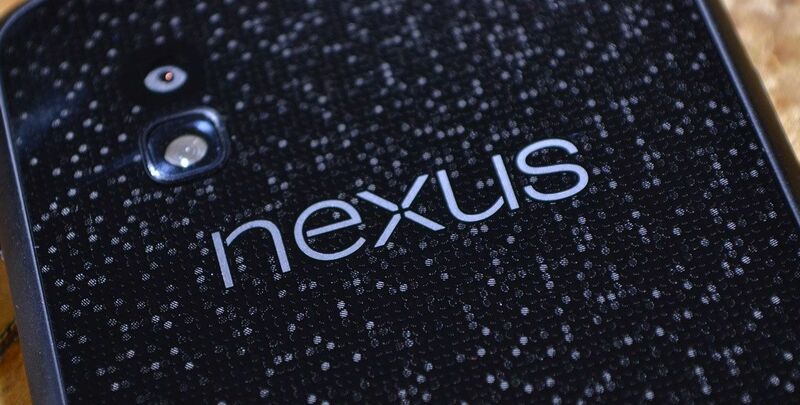 To get more updates on Nexus 4 and CyanogenMod 13, stay tuned with us.